Dug this board out today with the view of selling it. I put it on to test and also fired up MAME for a comparison and noticed that the digital samples weren’t playing at all. It first noticeable on the attract sequence when the lightning strike and you should be able to hear thunder. 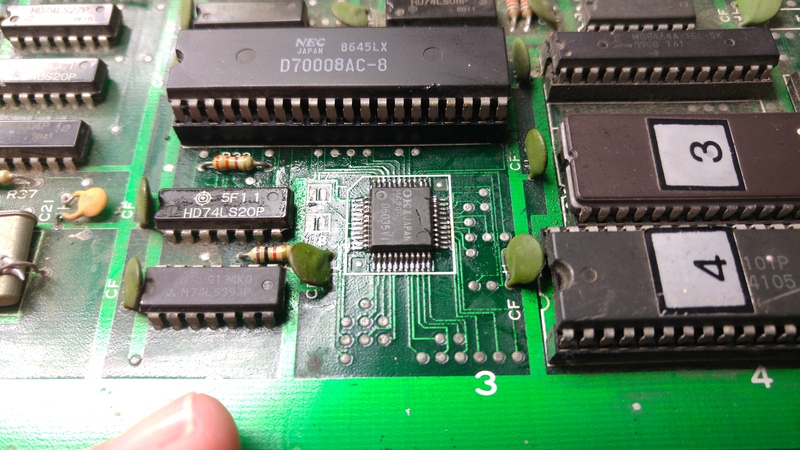 This game uses an M6295 chip in order to deal with the samples so it was really easy to make a start trouble shooting. Using the scope I could see all the inputs and outputs were toggling when I would expect and could see one of the enable lines going active when the thunder sample was meant to play but the DAO pin (pin 36) was just dead. 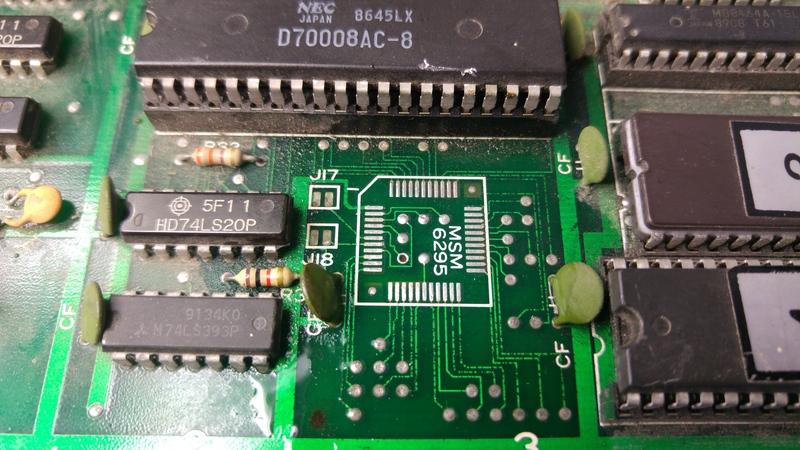 I did try to reflow this just in case but it made no difference.